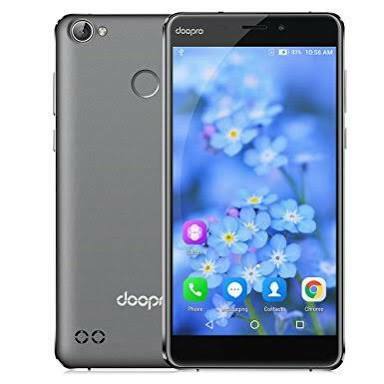 Doopro C1 Pro is the updated version of the Doopro C1 budget smartphone that was first introduced by the OEM. The Pro version comes with lots of new and exciting features that the initial version could only dream of. It has 4G LTE connectivity for fast internet browsing, a bigger 2GB RAM and 16GB storage space among other quality features. Want to know more? Stay with me. 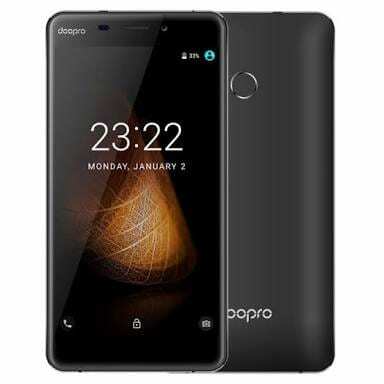 What is Doopro C1 Pro Price and Availability Status? There’s not much difference in the design department, still sports the same Plastic and Metal mix design. Everything is in the usual position, including the rear fingerprint scanner and loudspeaker. The dual speakers dishes out quality sounds and bass. The company’s logo is also pretty much visible at the bottom corner. At the top, we can see the rear camera and LED flash sitting to the left in a horizontal format. Still measures the same 10.3mm in thickness and weighs a massive 206g overall. Black and Gray are the only colors it’s available in. Typically Pro or Plus versions usually comes with a bigger screen. But that’s not the case here, C1 Pro has the exact same screen like the initial version with same screen features as well. The narrow bezels are super minimal, while the top and bottom bezel are visible. The 5.3-inch HD IPS LCD capacitive touchscreen displays quality visuals and better than most screen on budget smartphones. With a resolution of 1280 x 720 pixels and 277 pixel per inch density, displaying sharp and immersive visuals. The screen could only get to 71.25% screen to body ratio with a 2.5D curved glass. The C1 Pro houses a Snapdragon 230 MSM8909 chip from Qualcomm instead of the Mediatek chip on its initial version. Nonetheless, it still has quad-core processor and 32-bit CPU architecture. The 4-cores of processor runs at the usual speed of 1.3GHz with 28nm process technology. The Qualcomm Adreno 304 graphics processor handles graphics and reaches a speed of 400 MHz. A bigger 2GB RAM space is available to multitask through apps and tasks, with a memory speed of 533MHz. Ready to accommodate all apps and files is the standard 16GB storage space. You can always upgrade further up to 128GB this time around, using a memory card. However, the C1 Pro runs on an older Android 6.0 Marshmallow with modified user interface. For photography, the 8MP rear camera has an interpolated resolution of 13MP with other features like face detection, digital zoom and the rest. The camera takes photographs with 3264 x 2448 pixels in dimension, taking nice photos and recording high quality videos. While the 2MP selfie camera has an interpolated resolution of 5MP, for cute selfies. Powering the Doopro C1 Pro is a 4200mAh removable Li-Ion battery with no fast charging technology. Even without the fast charging feature, it shouldn’t take up to 3.5 hours to fully charge up the battery from 0% to 100%. The Doopro C1 Pro is available on Shopping stores from $79 (N25,000) to $99 (N35,000). 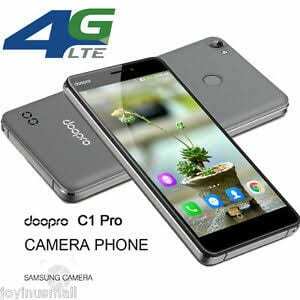 Click on the links above to view the latest Doopro C1 Pro price & availability on Shopping stores.